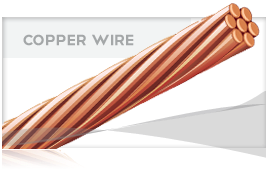 Hard drawn and annealed, 40% and 30% conductivity copper-clad steel wire. 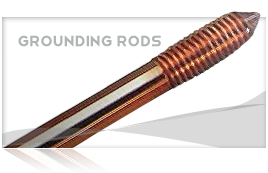 Tempers available: high-strength (HS), extra-high-strength (EHS), or dead-soft annealed (DSA). Ground wires; telephone, telegraph, and railway signal line. Ohms per 1,000Ft. At 68°F. Weight lbs. 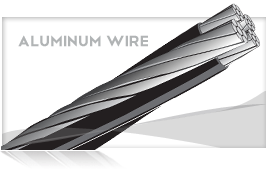 per 1,000 Ft.
+Also available with HMW Polyethylene covering.